• Member of the Hawaii State Bar? 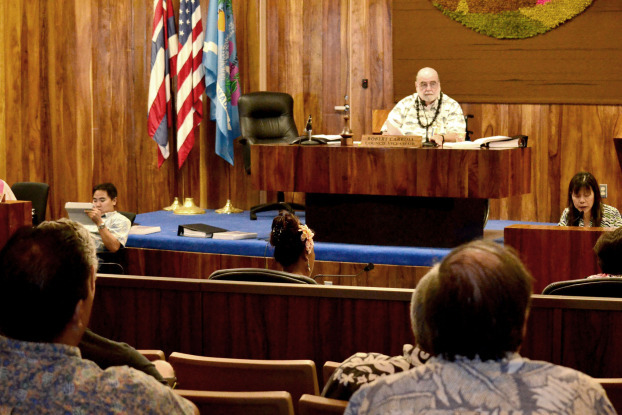 Apply to provide legal services to the Maui County Council HERE. • NACo Prescription Discount Card Program: Save an average of 24 percent on your prescription drugs. Looking for something? Live chat with staff (see pop-up below), or email media@mauicounty.us. 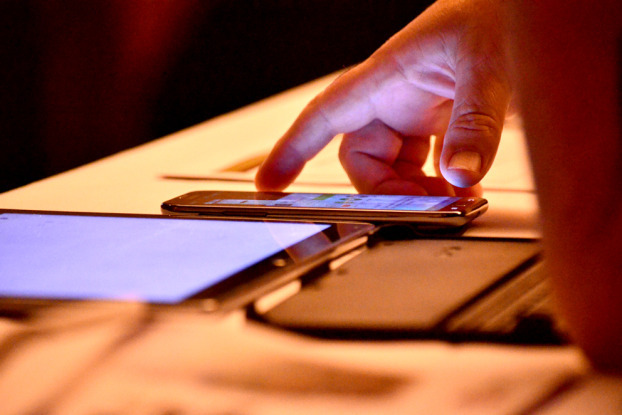 Get the latest news, follow @mauicounty on Twitter. 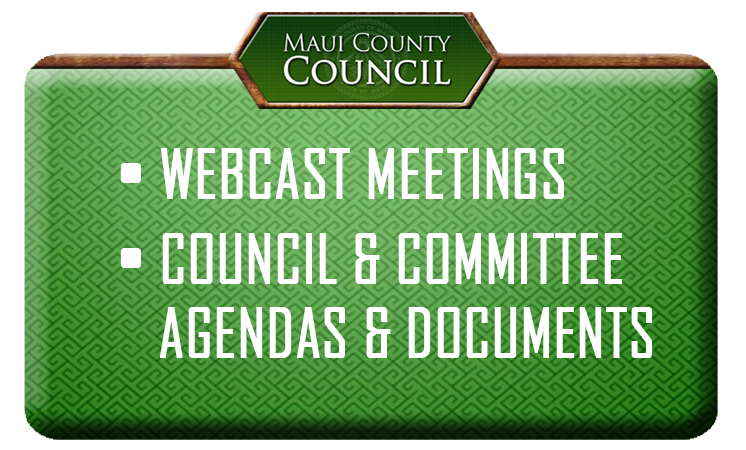 If you are having a technical problem viewing our content or would like staff to review a concern, please email county.council@mauicounty.us. Please let us know how we can improve the site! Mahalo! Maui County Council 2014 • Comments posted by others do not reflect the opinions or position of the Council or its officers and employees. • Comments are not considered public testimony for Council or committee meeting purposes. • Website administrators reserve the right to delete any content that is in violation of the Council's social media policy.